On Friday, October 30th, the smell of fresh coffee wafted through the atrium for the first time when Legal Grounds made its debut. 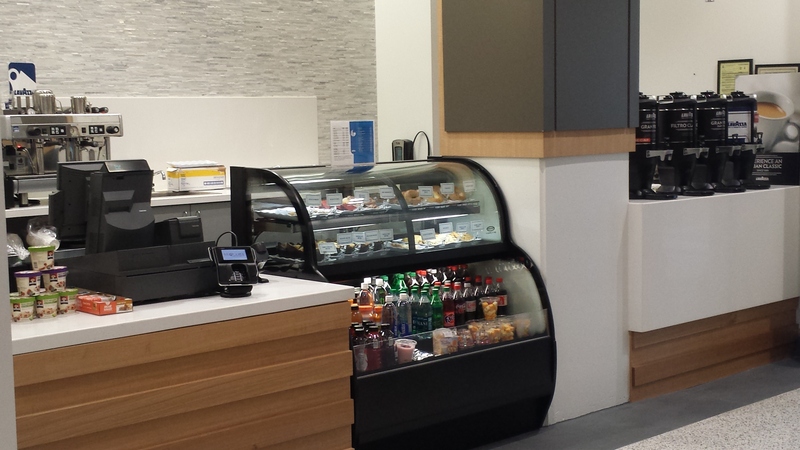 The coffee bar, located on the ground level of the College of Law, will be open Monday – Friday, 8am – 2pm. Legal Grounds sells coffee, soft drinks, baked goods and snacks. On the same day, Miss Demeanor’s Cafe opened on the 5th level. The Cafe will be open Monday – Friday, 11am – 6:15pm. They have a selection of salads, sandwiches, baked goods, snacks, coffee and other beverages, and a soup of the day. The cafe is located adjacent to the 5th floor terrace so you can enjoy your meal with a little Vitamin D…after it stops raining.